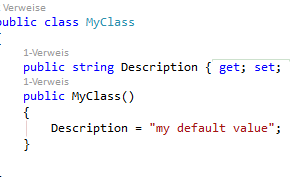 normally you can set a default value for your properties by giving the private property a value. 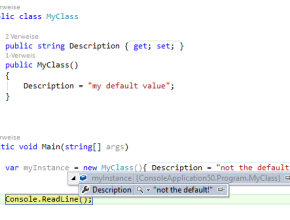 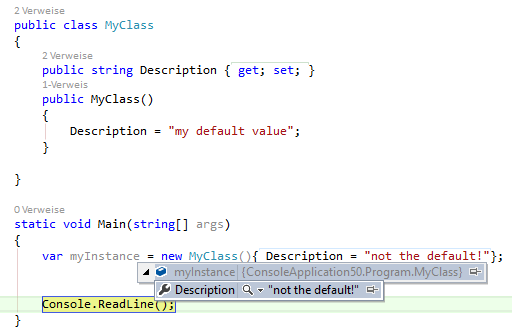 The only way to give auto implemented properties a default value is to set the value in constructor. 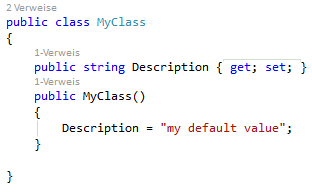 this will give you a default value for your auto-implemented property, without breaking object initializer functionallity.